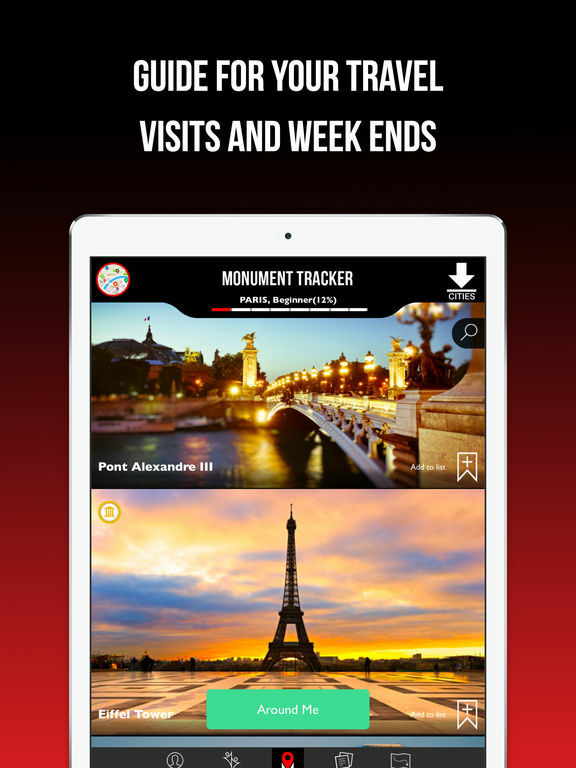 Have an original and unusual experience with the must-have tourist guide by Monument Tracker. Your profile will be your travel log. Choose your favourite sites therefore becoming your own guide and make sure you will not miss a thing. You will save time thanks to Monument Tracker and be able to start travelling even before you are on holidays. Fully enjoy your stay and share your favourites with your friends. Activate your instant discovery programme and be free. 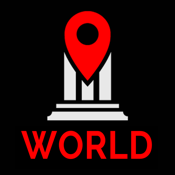 You have nothing to do, Monument Tracker‘s app will alert you when you are near a favourite site. 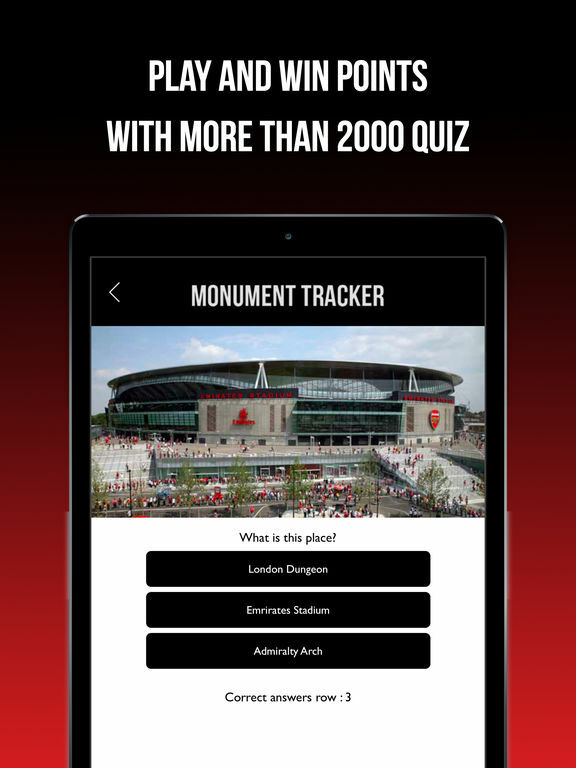 “Monument Tracker becomes your Phone Trotter”. 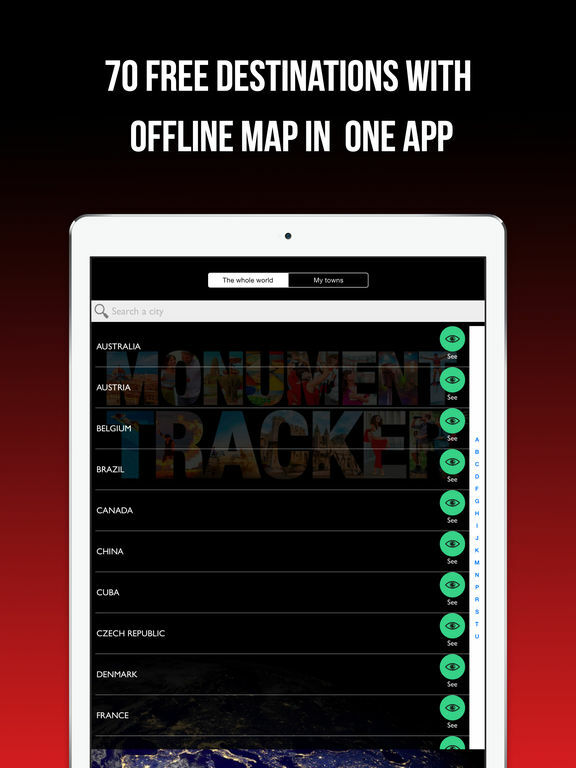 Monument Tracker has thought about everything, even entertaining you while you wait. Have fun with the quizzes, treasure hunts, improve your scores while queueing in public transports or a guided visit, when on your own or with family. “Turn your waiting time into a relaxing time”. Save time, let yourself be guided through original topic circuits, escape and immerse yourself into the History of the city. Get away from traditional circuits, discover or re-discover a city with Monument Tracker that provides you with a step-by-step guide and share the essentials with you. Feel alive, Excite your senses, Push back your boundaries, live an exceptional moment through activities related to the site you are located in. 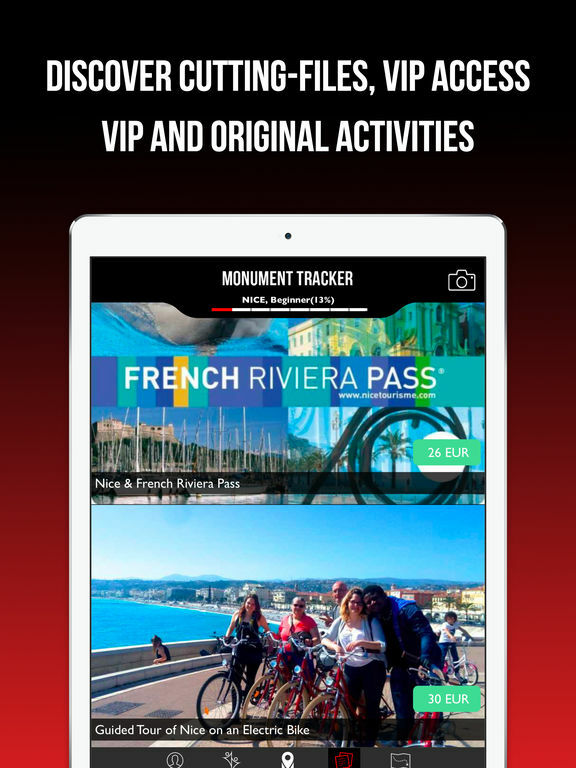 Monument Tracker provides you with original outing activities to rediscover the child in you. Theatres, Visits, Passes and Priority Tickets, Privileges.